Since learning how to crochet I’ve always preferred working on little projects as they are so much quicker to finish. I do have lots of blankets on the go and finished a small one recently with another bigger one close behind but I find I can only work on them a little bit at a time as I find I get bored and want to move onto something else! Mr C doesn’t understand it at all and says he would only be able to work on one thing at a time until it was finished but I just can’t do it! 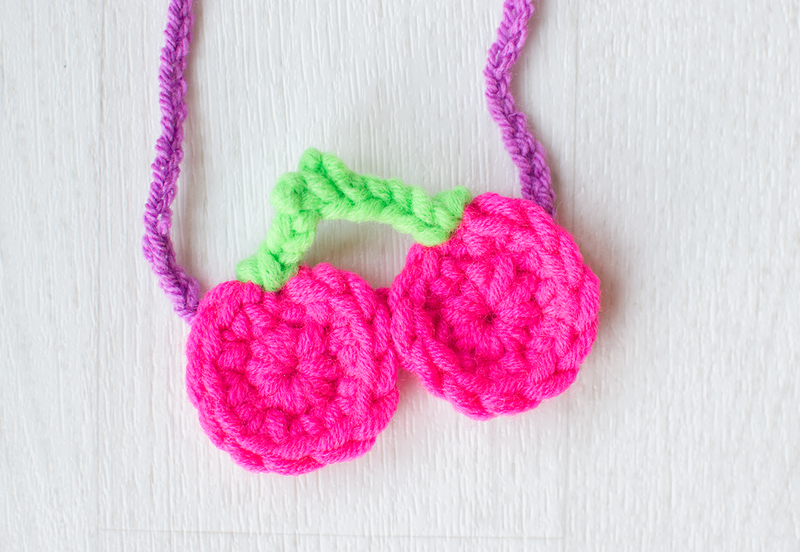 These crocheted cherry necklaces and really easy and take no time at all to make. I can even finish them before getting bored! We have moved down to the coast and I find that looking out to sea makes me feel so inspired and I can’t wait to take a crochet project down there to work on while the kids are splashing in the sea. 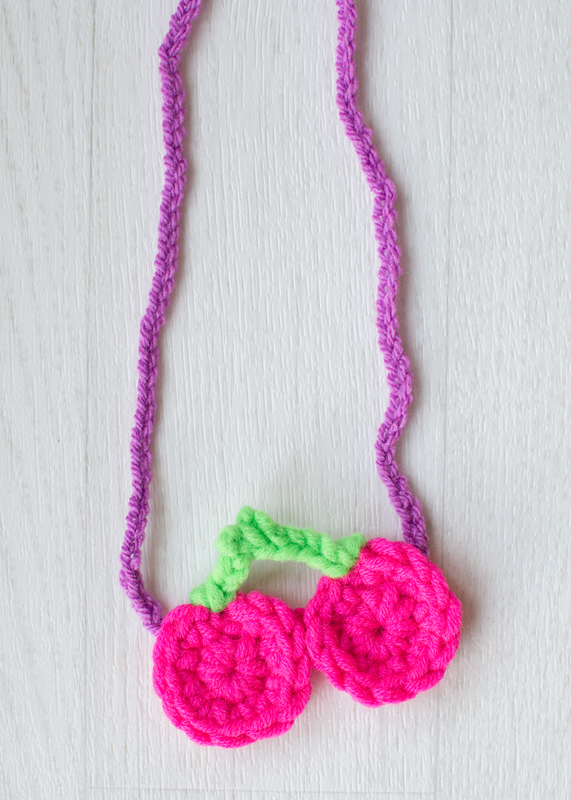 The weather is finally starting to warm up too making it the perfect time to wear these cherry necklaces. 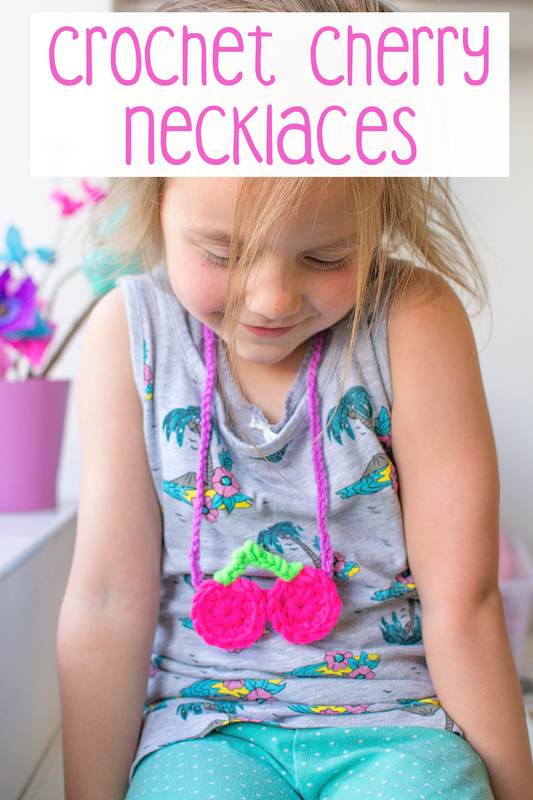 They are great for brightening up the outfits of kids and grown ups alike! I used bright shades but if you prefer more toned down colours then you can obviously just adjust the shade of yarn you use. You might also like these crocheted worry dolls. Or these crocheted Minion Goggles. Or these crocheted dream catchers!